When Lake Barkley reaches winter pool each fall, the remains of Old Kuttawa, Kentucky emerge. 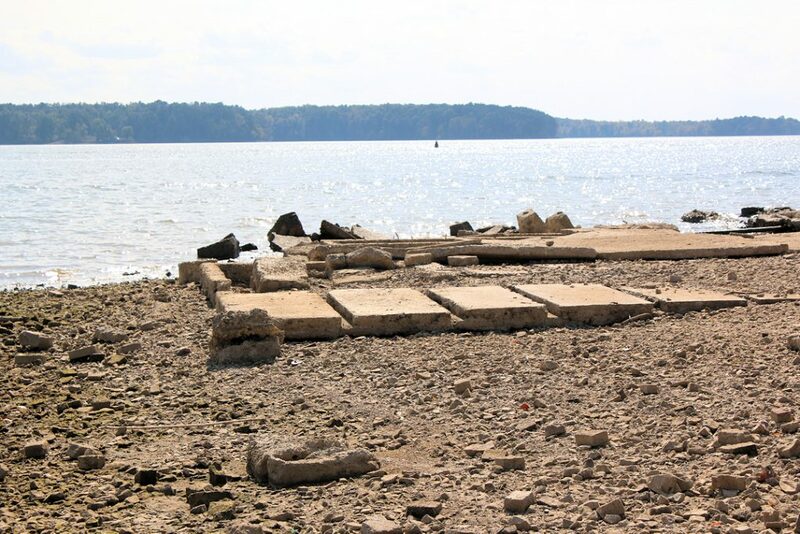 A thriving town of several hundred in the early part of the 20th century, a good part of the old city is now buried under the waters of Lake Barkley. Old Kuttawa called the Cumberland River its home, fixed on its northern shores. Founded right after the Civil War in 1866 by Ohio Governor Charles Anderson, who served a short five-month term as the head of the state, the origin of the town’s name is disputed. 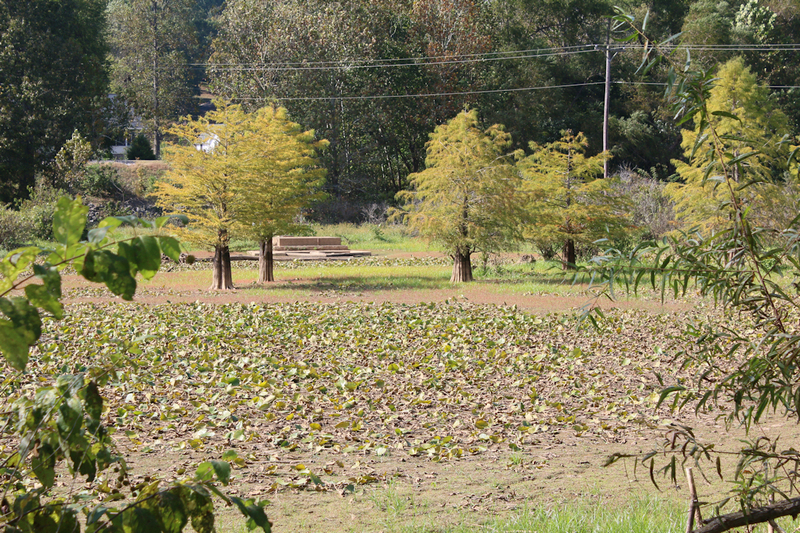 Some suggest the town’s name came from a Cherokee village that once thrived near the site. The name could be translated as “beautiful” or “city in the woods” using different languages. No one really knows for sure. Kuttawa became incorporated and recognized by the state in 1872. A post office began serving the community on September 20th of that year. 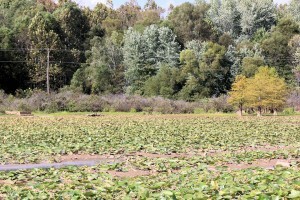 Located on the Cumberland River, the threat of flooding plagued Kuttawa throughout its history. 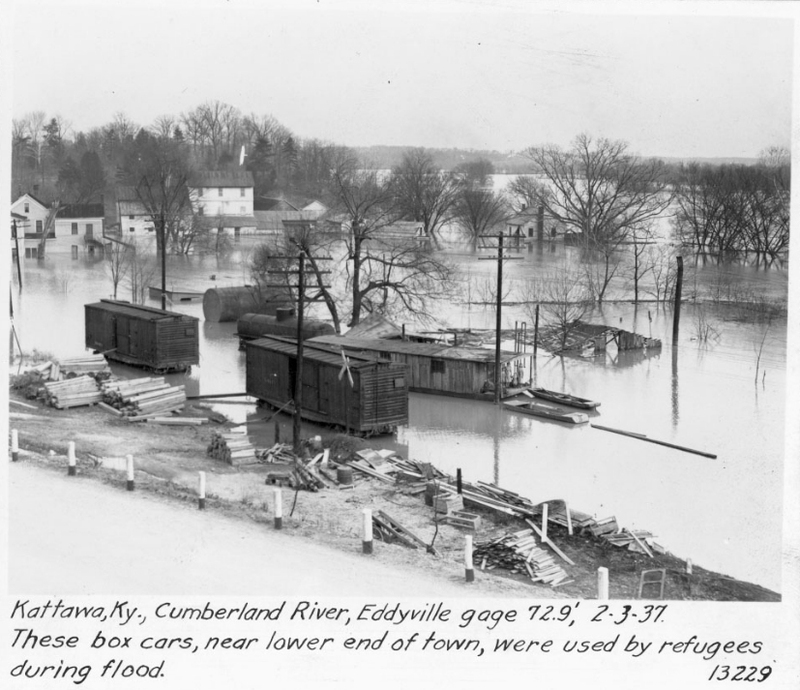 The most devastating flood came in 1937, which put most of the city under water. 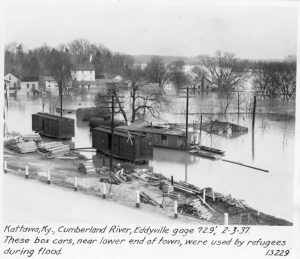 The infamous 1937 flood affected many parts of the southeastern United States, including Paducah, Eddyville, Calvert City and other towns all along the four rivers in our region. The flood peaked on January 26, 1937 with the Eddyville river gauge reading 76.9 feet. 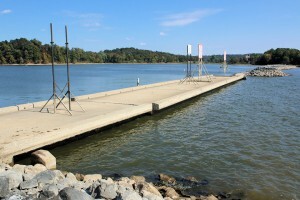 At this stage, the flood waters exceed the levels of present-day Lake Barkley. 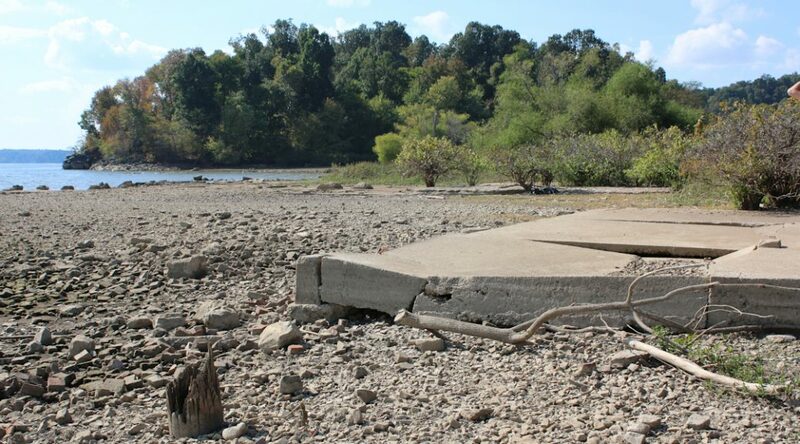 The Tennessee Valley Authority (TVA), a new deal program established in the 1930s by President Franklin Roosevelt, began a series of dams along the Tennessee River to manage flood control and provide electricity to the mid-south. 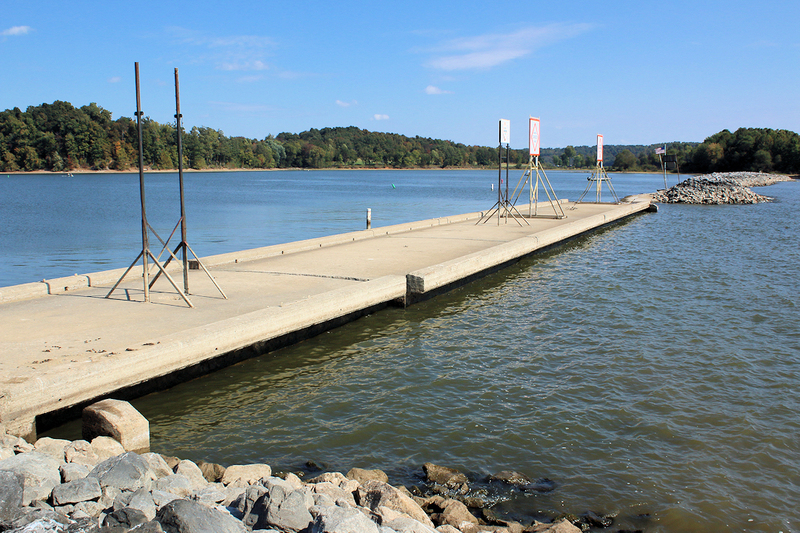 Kentucky Dam was the last of these dams to be built on the Tennessee River, having been completed in 1944. Kentucky Dam’s close location to the Cumberland River and the cities of Kuttawa and Eddyville sparked rumors that a dam was coming to their river. Sure enough, in the 1950s, residents received word they would have to relocate most of their town to higher ground. Barkley Dam was coming. 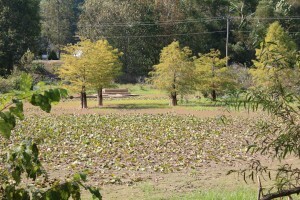 Most of the town moved to its present-day site. 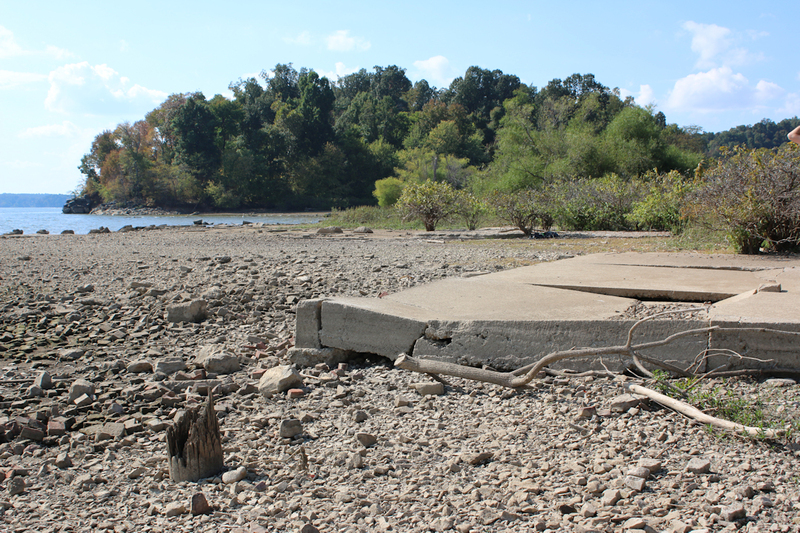 Buildings and homes were tore down or relocated where the new lake’s waters would permanently inundate. 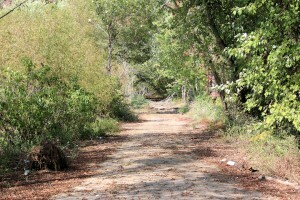 US 62 and the Illinois Central Railroad had to be rerouted to the north. Many people’s lives were affected by this move. It’s hard to imagine someone knocking on your door, telling you to move because your home and land would be permanently under water. But this was the reality of several hundred residents of Kuttawa, and even more in nearby Eddyville. 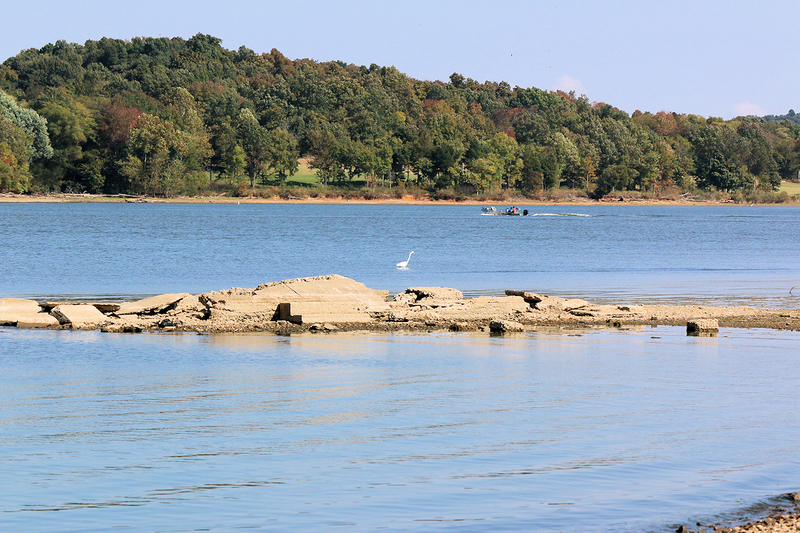 Each fall and winter, unless the weather is wet and Lake Barkley is above normal, you can visit the remains of the old city of Kuttawa. 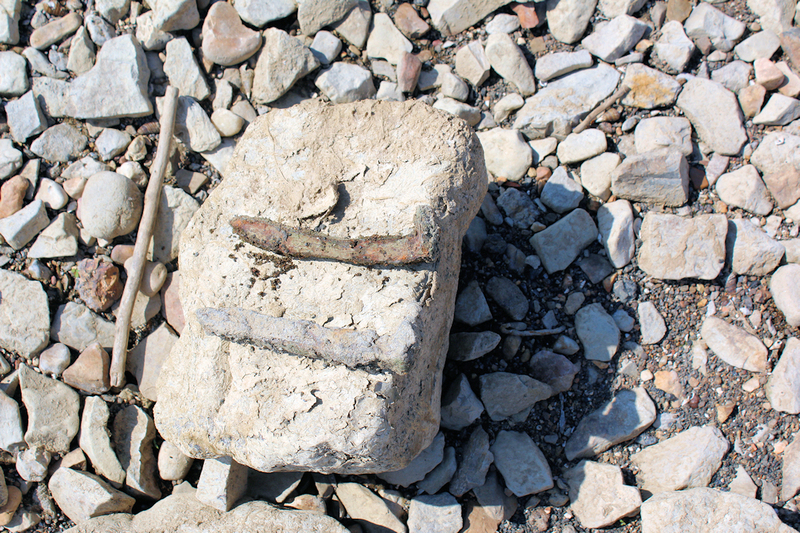 The most visible and prominent remains are located along the breaker wall extending east from the Kuttawa park. 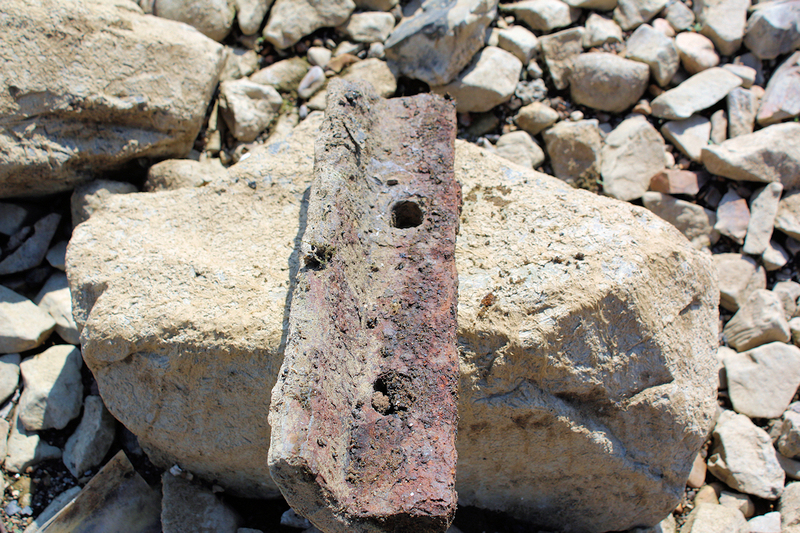 As you walk along the breaker wall, you’ll notice on the north side the remains of US 62. 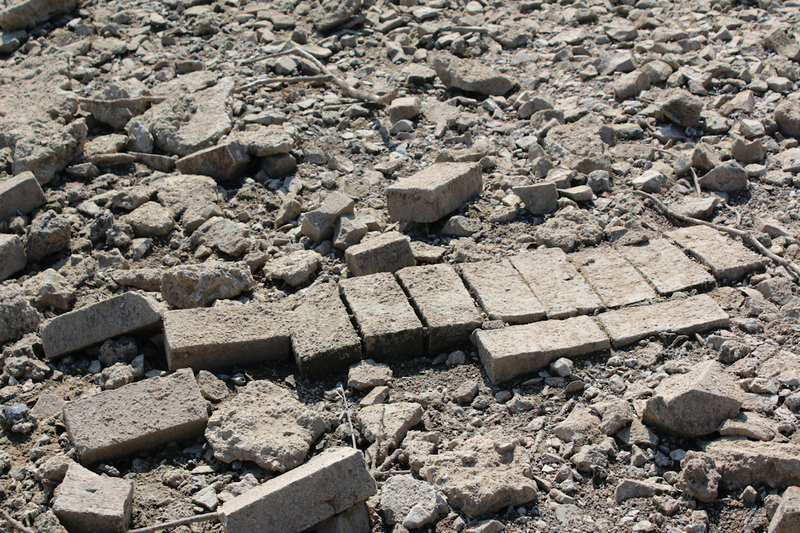 Parts of the pavement are still intact, even after 50-plus years of wear from the water. 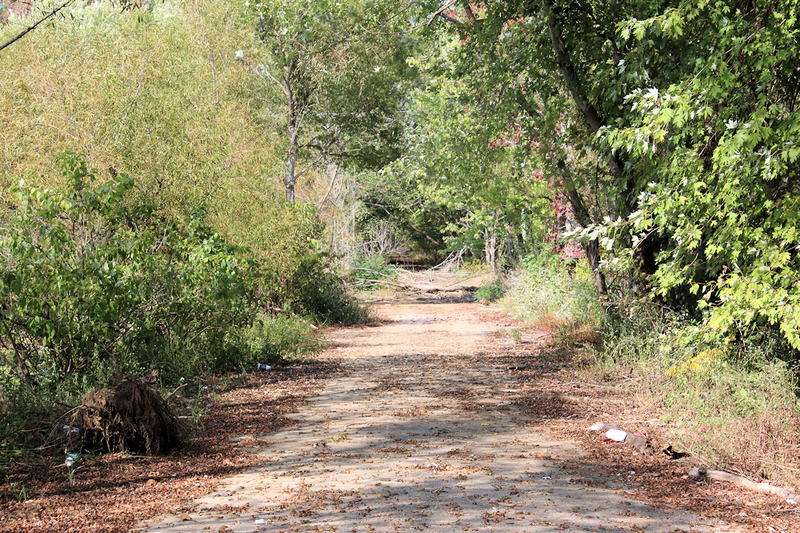 On the south side you’ll see numerous concrete foundations, old brick paths, telephone pole stumps, railroad spikes, pipes and more. The railroad was located either under or just south of the breaker wall. At the end of the breaker wall, you’ll see a 180-foot-long bridge that carried US 62 across Knob and Hammond Creek. 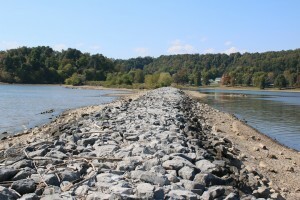 Further up Knob Creek, just north of Interstate 24, lies a shallow bay once home to Kentucky 93 and two other state roads. These roads wyed off two different times from KY 93. The first being KY 295 and the other being KY 373. All these had to be relocated, but they still exist and are visible at winter pool. We even drove our truck on one of the roads as we explored this area. 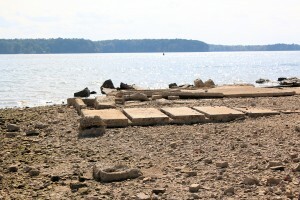 All of this is under water during the summer pool stage of Lake Barkley, which is elevation 359’. 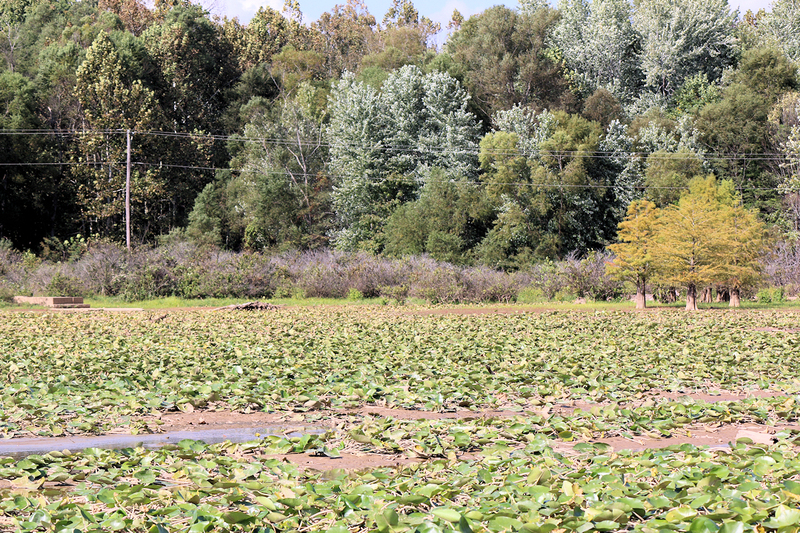 If you want to see all this for yourself, check Lake Barkley’s stage first. It will need to be below about 354.5’ before Old Kuttawa becomes visible. Railroad spikes can be found along the breaker wall. Leave them so others can experience the find! 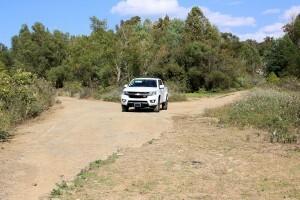 Exploring old Kuttawa is a fun activity for kids. 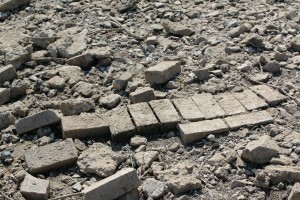 They can get a taste of exploring “lost cities” and a taste of archaeology, even though the remains aren’t all that old. It’s a fun activity the whole family can enjoy, not to mention getting outside and away from screens! The part of old Kuttawa that survived still thrives today. 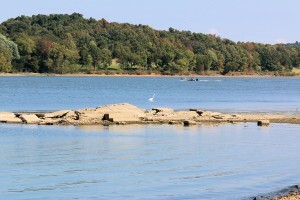 There are numerous, well-kept homes and bed and breakfasts that line Lake Barkley Drive in the old town. It is picturesque and beautiful. The residents along Lake Barkley Drive take pride in their homes and businesses. Kuttawa Harbor, where most of old Kuttawa once thrived, is busy with a large marina, store and restaurant. 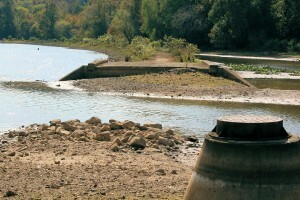 Check out the old Kuttawa area, especially during winter pool months. To those who love local history, you’ll be glad you did. The road forks! Compare this photo with the map below to find where this is located. 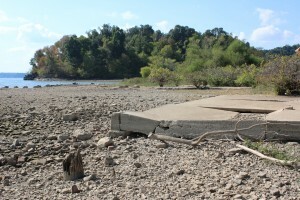 It is old KY 95, usually under Lake Barkley.